Summary WONDER is a US drama in which a boy with facial disfigurements struggles to fit in at a mainstream school. 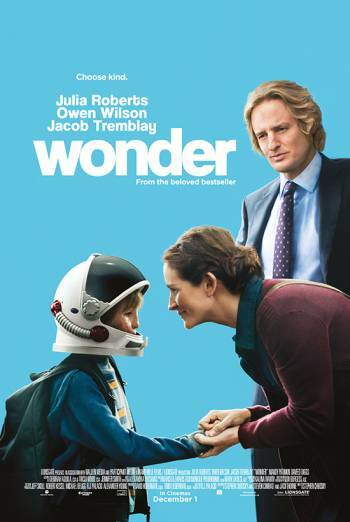 WONDER is a US drama in which a boy with facial disfigurements struggles to fit in at a mainstream school. Mild bad language includes uses of 'crap', 'jerk', 'buttface' and 'God'. Altercations between youngsters contain undetailed kicks and punches. A boy sustains a minor head wound after being pushed over. There are several scenes depicting characters in distress, including the central character crying about being bullied, falling out with a friend and the death of his dog. Members of his family provide reassurance, and the narrative is ultimately uplifting.